In the Pasayten Wilderness with Moon, a great horse. Pasayten Wilderness of Washington State, looking West! It's a long way from anywhere! I will find GOLD, I will find GOLD, I will find GOLD! Remmel Mountain, Pasayten Wilderness, critters run free. Snoopy and me on the top of the world. I rode Snoopy for years, after the guests left camp I would turn him loose and he'd come in the tent and eat pancakes with me! The original Yuppie Packer, Mr. Aaron Lee Burkhart of Early Winter's Outfitting. Aaron had cutting edge technology at the time with a satellite phone! 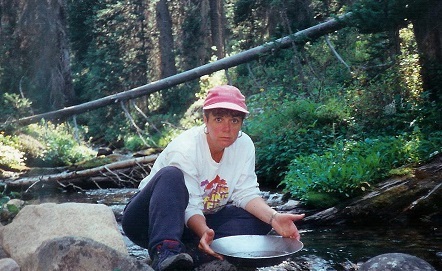 I was a wilderness guide and outfitting or pack cook, working every summer from 1983-2014. 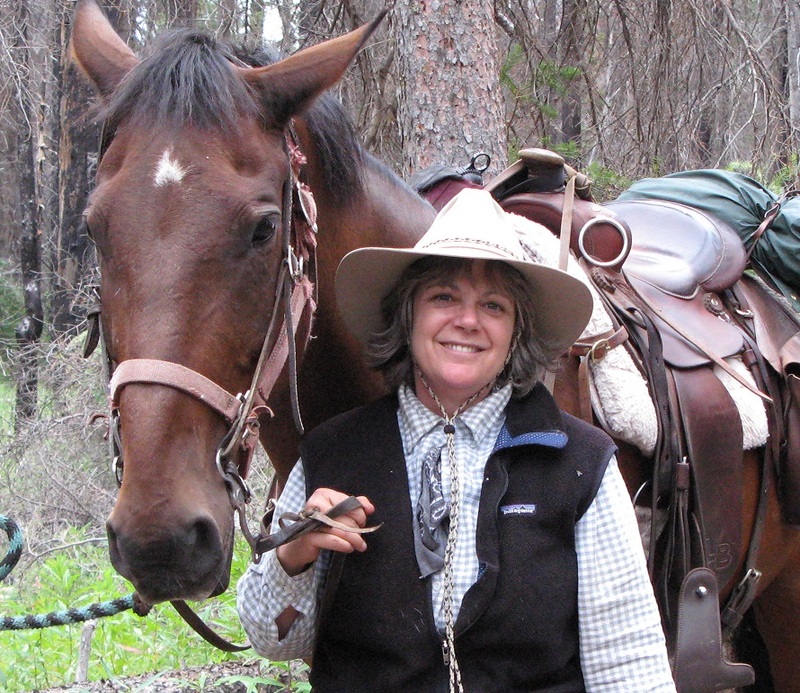 I have spent a lot of time on horseback enjoying the amazing North Cascade Mountains. For me time in nature renews my spirit and connects me with the source of all joy. Now I am retired with memories of time well spent. If you want to go into the mountains with some fantastic professional outfitters I have two of my favorites here, and our association.